The Wolfe Center for the Arts at Bowling Green State University has been awarded LEED Silver status by the U.S. Green Building Council. Rudolph/Libbe Inc., of Walbridge, OH, was general trades contractor for the 97,000-square-foot performing arts building. ETL recently accredited Clenergy's new PV-ezRack Grounding system. ETL's listing of Clenergy's PV-ezRack Grounding System is yet more proof of Clenergy's successful commercialization of its independent intellectual property. 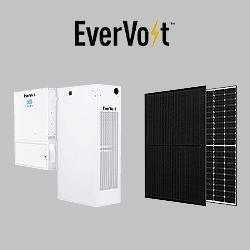 Its application in multiple Clenergy's PV-ezRack mounting systems marks another major improvement in product quality. If you want to know about smart grid security, this is the summit to attend. Clinic In A Can recently completed the first fully solar powered medical clinic constructed in a shipping container. The container clinic, called a Clinic In A Can, is a shipping container that is transformed into a self-sustaining, fully functioning medical clinic powered by solar energy. Conergy Completes 1.8MW Solar Electric Installation for Aqua Pennsylvania, Inc.
ASG currently carries out an average of 400 residential installations per week across the United Kingdom. To be built on Army Corps of Engineers dams on the West River in southern Vermont. The Prairie Rose Wind Farm is located in Rock County in southwestern Minnesota and will consist of 119 1.68-megawatt GE turbines. 08/07/12, 08:47 AM | Solar & Wind | Ascent Solar Technologies, Inc.
An anticipated pipeline of more than five megawatts in 2012.